Student back-to-school packets are available for pickup in the office beginning Friday, August 19th, 9 am - 3:30 pm. 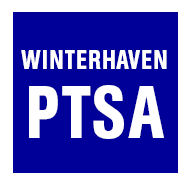 We appreciate families picking them up prior to Winterhaven Registration Night on Wednesday, August 24th, from 4 pm to 6 pm. By picking them up early, you can fill out all of the forms and return everything when you come to Registration Night. If you cannot pick up the packet before Registration night, please be prepared to fill out the packet on the 24th and leave the packet with us at that time. It is imperative that the school has all of your student's information before the first day.